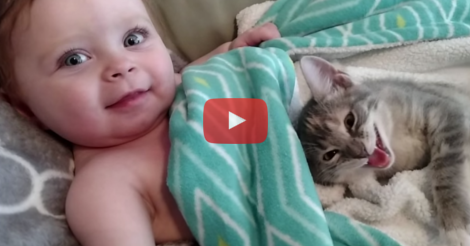 When this 8 month old baby woke up from her nap, there was an unexpected surprise waiting on her blanket! The kitten had snuggled up during nap time and made herself comfortable within the pile of blankets! What a warm and “purrfect” way to spend an afternoon! I am so glad that mom thought to pull out the camera and catch this precious moment! 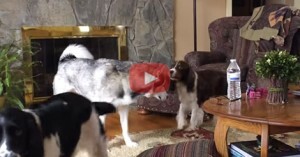 She didn’t expect it to, but this video has gone VIRAL! 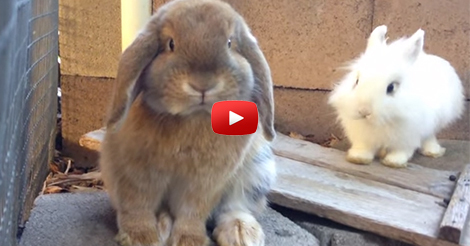 Watch as this little tot tries to figure out what is going on around her! She sees the kitty, but she’s not sure why the kitty is lying on top of her! For a split second, it looks like she might start crying, but mom quickly lets her know that this is a good thing! “Is the kitty laying on you?” She asks in a happy voice, and this lets her daughter know that everything is fine – this is a good situation and nothing to be sad about! The kitty doesn’t stop mewing though, and just wants to soak up all of this attention. Mmmmm those ear rubs sure are great! I only wish this video was longer! 39 seconds is just not enough of this cuteness! !